Mario Maurer has arrived in Manila and his legions of Pinoy followers flocked his fan conference, and they are all set for his runway stint at the Philippine Fashion Week and looking forward for his upcoming movie with Erich Gonzales! 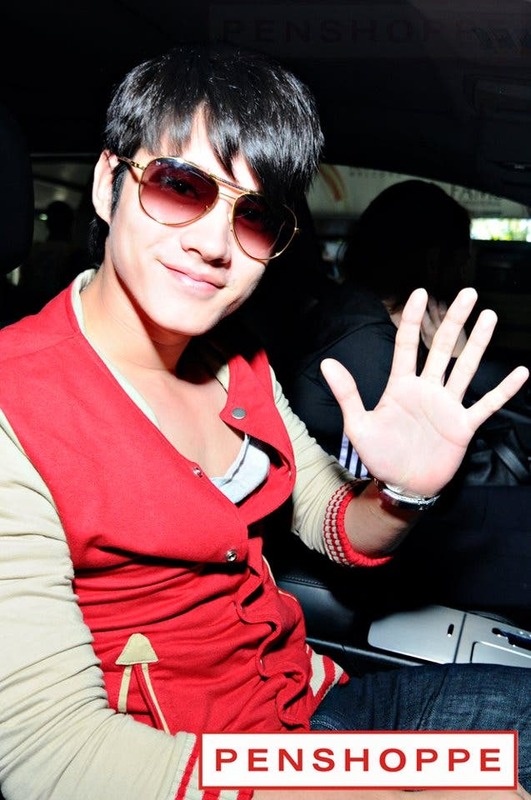 Mario Maurer is now in Manila to be the latest endorser of Penshoppe. Following the brand’s highly successful series of top trending international campaigns, Maurer’s selection after British actor Ed Westwick of the popular series Gossip Girl marks the arrival of the local apparel group as a force to be reckoned with not only in the local circles but also in the whole Southeast Asia where the Thai heartthrob is very popular. He met his Pinoy fans earlier today, October 28, in a fan conference held at the Philippine International Convention Center (PICC). Fellow Thai heartthrob VJ Utt hosted the event while Pan Asian girl group Blush performed their two hit songs. Tomorrow, October 29, Mario will grace the runway of Philippine Fashion Week at the SMX SM Mall of Asia in Pasay City. Meanwhile, Maurer also signed a one-movie deal with the Kapamilya movie outfit Star Cinema. He will shoot a romantic movie opposite our very own Erich Gonzales. Among the films that boosted Maurer’s name to public consciousness was The Love of Siam released in 2007. He also starred in the sleeper hit Crazy Little Thing Called Love that surprisingly gave ABS CBN high ratings during its premiere on local television. You can find all our coverage of Mario Maurer here.